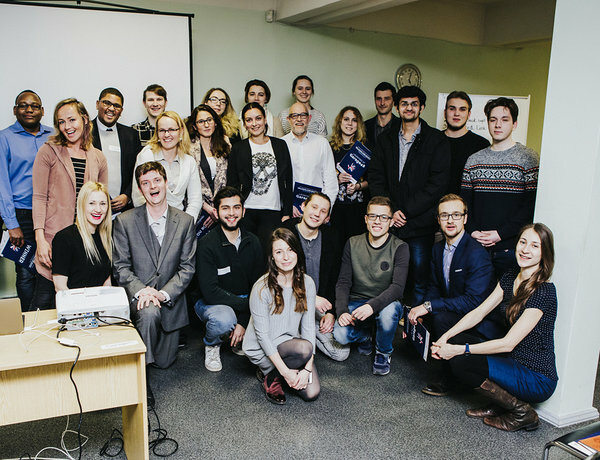 Idea Garage Cyber Security Riga Powered by the UK is the second event from the Idea Garage: Cyber Security Powered by the UK event series which has been brought to you by Garage48, British Embassy in Tallinn, and Startup Estonia. 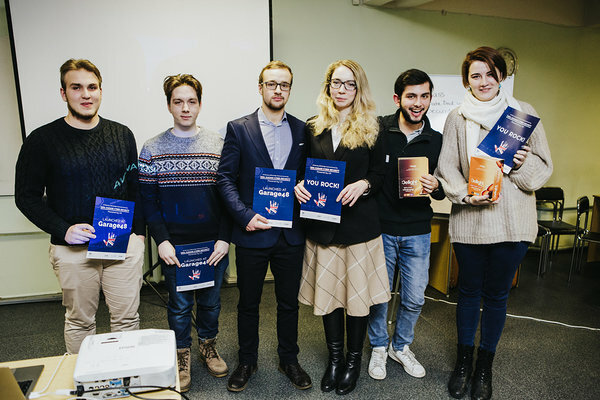 The event took place on the 16th of February in the Faculty of Computer Science and Information Technology, Riga, with an extremely young and vibrant audience. The mini cyber security hackathon brought together people from many different backgrounds - cyber security specialists and analysts, developers, entrepreneurs, visionaries/project managers, full-time students and much more to find solutions to cyber security challenges and threads. The last mini-hackathon from the series is coming in the end of March in Tallinn so stay tuned and follow our Garage48 FB page for more information. The event Moderator once again was the co-founder and CEO of innovation consultancy company ELEVATE by Garage48 - Liis Narusk. She is phenomenal in making all the participants appear at their very best! Additionally, Liis delivered a short pitch training session that gave useful tips and tricks how to present one's idea better. 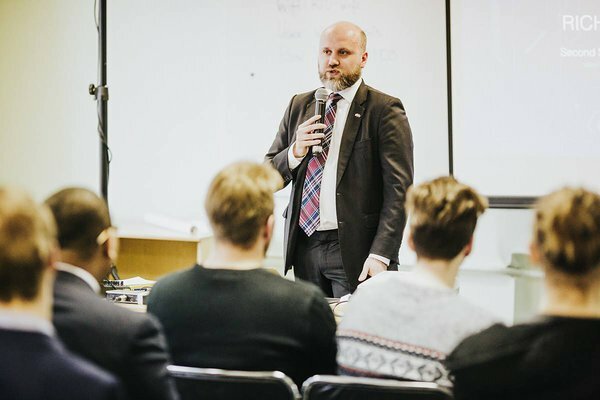 The Idea Garage Cyber Security started with the opening speech of Richard Stillwell, Second Secretary to the British Embassy Riga. He welcomed all the participants and wished them a successful brainstorming session. Olga Saliba (Co-Founder & CEO, Verimuchme), Kirilis Solovjovs (IT security expert and lead researcher, Possible Security), Ivo Kutts (Expert, CERT.LV). A huge thank you goes to all of them on the behalf of the team and all the participants who got some bright pieces of advice from their rich international experience! PASS - RPA tool - Bots that can search through the systems for pre-defined criteria to extract the customer data from production and legacy systems to enable the customers to experience the rights of access and the rights to be forgotten. Setting crypto accounts - A system which allows people to keep and manage their coins in one place securely. Deep Learning Intrusion Detection System - using data mining and machine learning. Data Back-Ups - Develop a solution which helps companies to choose the right back-up tool. Secured Link - Gamification for learning how social engineering works. 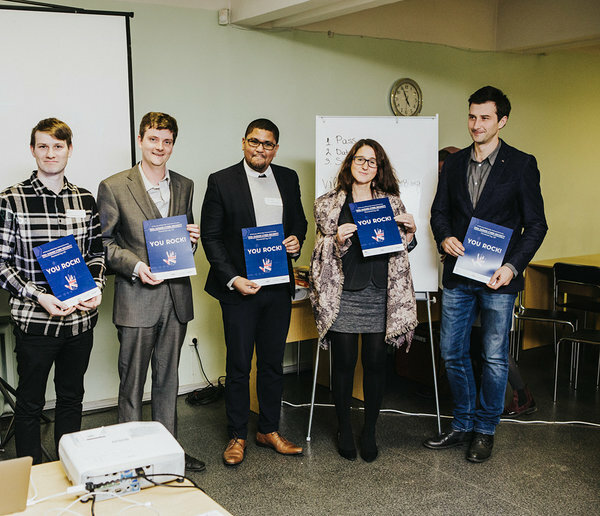 We also thank warmly our jury members as well: Kieren Lovell, Talal Rajab, Oliver Sild, Marily Hendrikson (Startup Estonia) & Kirilis Solovjovs. They had the hard task to pick the best ideas! Their ultimate helper was a criteria sheet that was prepared in advance from the organizational team in order to support the decision-making process. Team: Marcis Murnieks (Visionaire), Kenneth Omoya (Marketing), Anna Borisova (Full-time student), Kristine Kazaka (Full-time student). Team: Zanda Jonite (Visionary), Francisco Rios Diaz, Andi Hoxha (Full-time student), Pranjal Jain (Full-time student). 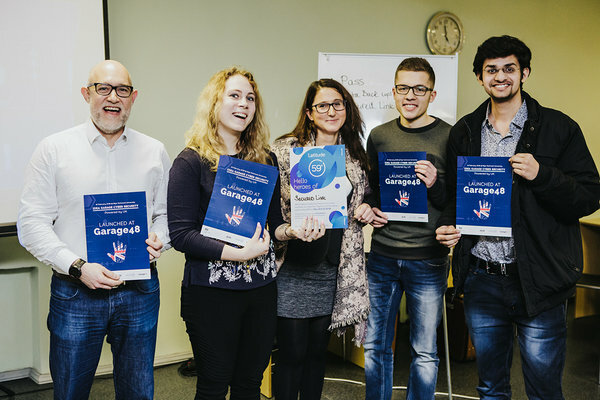 Team: Luis Emilo Salguero Pereda (Full-time student), Ieva Ancveire (Full-time student), Saveloys Astapovs (Full-time student), Anna Vladimirova (Visionaire), Nikita Mihaylovs (Full-time student), Victor Sergijenko (Full-time student). Last but not least, we want to most sincerely thank Latitude59 and Unleash Alfa Finland for sponsoring this event! Without you guys, we would not have managed to make all these winning participants happy for the opportunities and gifts granted! One of the awesome awards that we gave on Friday to our 1sr Runner-Up is FREE TICKETS for the e-Estonia's flagship startup and tech conference (May 24,24 2018) - Latitude59! Latitude59 is the main partner supporting all the three cyber security idea garages with tickets for the conference. Latitude59 brings together the Baltic, CEE & Nordic tech ecosystem and provide a platform for entrepreneurs, investors and leaders to learn, connect and network. Unleash Alfa Finland, a partner company that provides protein bars for those who work hard, train hard and play hard, was so kind to sponsor the event with their amazingly delicious protein bars. 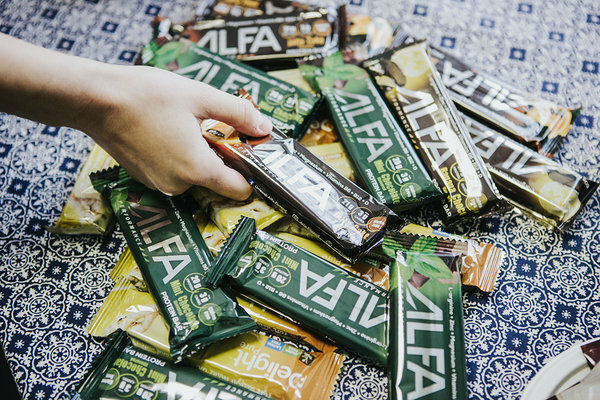 ALFA's delights kept our energy & performance high throughout the whole day! 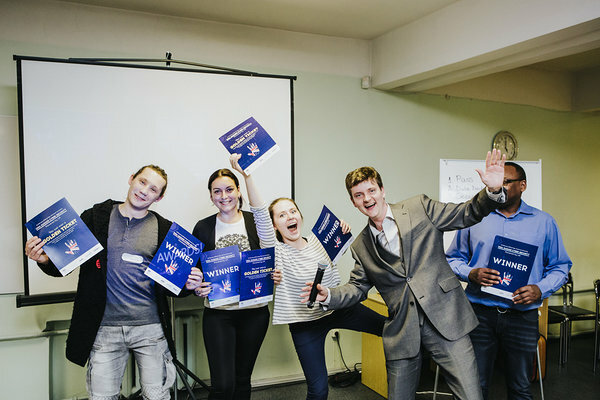 If you have missed joining the events in Vilnius & Riga you can now have one more chance to attend in Tallinn at the end of March!